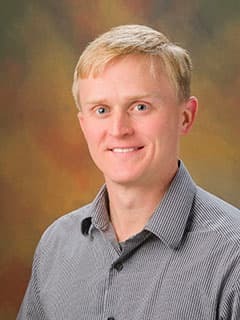 Led by Timothy S. Olson, MD, PhD, researchers in the Olson laboratory are developing and evaluating methods to improve clinical outcomes for pediatric patients with inherited or acquired bone marrow failure after hematopoietic stem cell transplantation (HSCT). Specifically, researchers in the Olson laboratory are searching for strategies to reduce the incidence of graft failure and minimize post transplantation toxicities in pediatric patients with bone marrow failure. Mice with a mutation in the Mdm2 gene that interferes with MDM2/ribosomal protein binding develop a defect in erythropoiesis. PLoS One. 2016 Apr 4;11(4):e0152263. Kamio T, Gu BW, Olson TS, Zhang Y, Mason PJ, Bessler M.
Clonal evolution and clinical significance of copy number neutral loss of heterozygosity of chromosome arm 6p in acquired aplastic anemia. Cancer Genet. 2016 Jan-Feb;209(1-2):1-10. Betensky M, Babushok D, Roth JJ, Mason PJ, Biegel JA, Busse TM, Li Y, Lind C, Papazoglou A, Monos D, Podsakoff G, Bessler M, Olson TS. Disrupted lymphocyte homeostasis in hepatitis-associated acquired aplastic anemia is associated with short telomeres. Am J Hematol. 2016 Feb;91(2):243-7. Babushok DV, Grignon AL, Li Y, Atienza J, Xie HM, Lam HS, Hartung H, Bessler M, Olson TS.